Well, to kick off this line (and to please them internal management), I think they'd have to go with Goku in a done-to-death form/pose. I've got to disagree on this one with you burdock. As far as I've seen, tsume's highest quality statues (HQS) have always been of characters other than the main characters such as zoro instead of Luffy and itachi instead of naruto so I actually have my money on vegeta for their first release. They could make this and tempt me to buy it. But since these are pretty large (I think), I'd so much rather have an awesome Dr. Wheelo or Hildegarn. I'm not looking forward to the thought of sculpting my own Hildegarn for my collection, especially his tail! I'm surprised the animators for that movie didn't quit their jobs. Animators in Japan are basically slave driven, even to this day. It's only gotten worse with episodes being completed hours before broadcasting. Episodes have actually been delayed because the animation isn't finished. In fact, in the DVD releases of Jojo, they actually had to fix some of the animation from the original broadcast because it was so bad. But back on the topic of resins, no one has really made a good Hirudegarn, so it'd be cool if they did one. 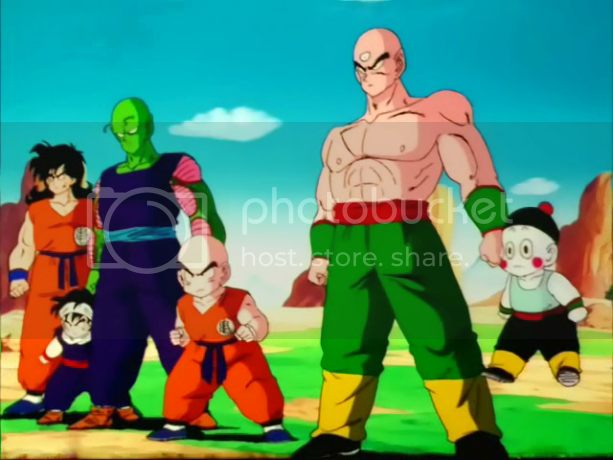 Looking at the style of their other releases, they could have a Tien Kikoho, or Kaioken Goku, things that have lots of effects around. Did they start out with One Piece and Naruto with those releases? I just hold that opinion because quite often the final word is that of the management pundits and most of them want concrete numbers/results to ensure and/or sustain their ties with the studio. I'm not saying that the guys at Tsume aren't passion-driven but they are afterall, a business. Say, have they got the license to do statues in 1/4 scale or 1/6? Honestly I'm not sure what characters they started with but I don't think they made a Luffy statue at all. 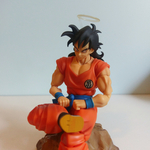 I've heard that you have acquired the Dragon Ball Z license and will soon be producing statues for the series. I wanted to inquire about the availability period of the first statue you will produce and if you can give me a hint about the first statue you will produce. Thank you! So I guess nothing is confirmed yet. Very nice work they do! Definitely will be watching them with interest for their DBZ stuff. So any of you guys have an idea about this?? Well I don't read French so I don't have a clue what it means but maybe saiyen or @redstar77 can help us. They make lovely resin. In september something about DBZ will be. I wonder what DBZ statues they'll make. I'm sure that their quality wouldn't be any less than medicos. Just take a look. If these figures of Tsume look as great as the Goku of the Medicos, then I grab it to me. If Tsume ever gets to do DBZ statues, which I'm sure they will, there won't be any doubts regarding quality and likeness but most importantly, they won't stop at producing just one statue like Medicos or Proovy. burdocksan I agree, though I don't think tsume has been that successful with their releases. Many of their statues have been available for order for so long, but they seem to never run out of stock of them. Also, their madara uchiha statue was scheduled to be released in q3 2014 and to this day it still hasn't been released. And to think you have to pay the full price of the figure upfront, makes me sceptic man. The only deterrent that inhibits anyone from buying Tsume pieces is the price.....in Euros!